It started as my husband’s idea. He had mentioned his dream to circumnavigate years ago when it was definitely his dream and not mine. 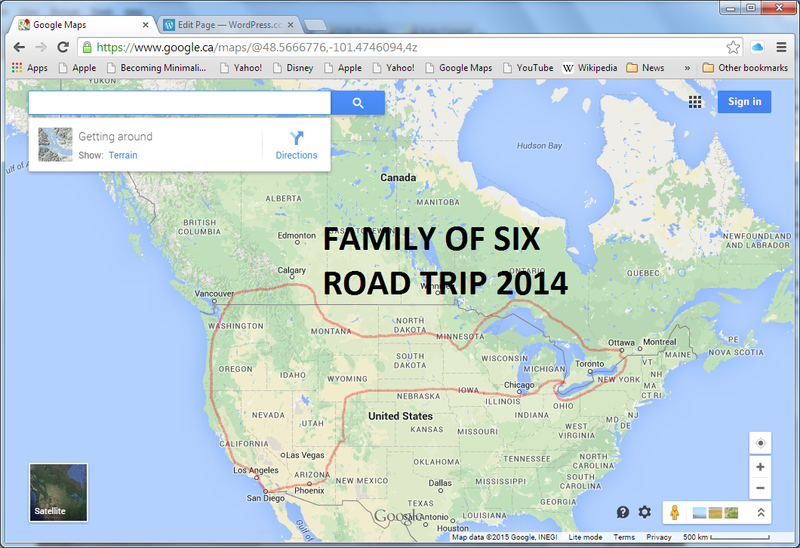 But, that changed after our family took a road trip last summer. We spent 60 days in a tent and drove about 20,000 km (about 12,400 miles). We had only our mini-van, a tent, a Thule box, and our bicycles. We brought very little, sometimes sleeping in our clothes, and lived cheaply. Our intent was to explore with our children, and to see if there was somewhere else in North America that we’d rather live. Before our trip, we left ourselves open to the possibility of moving, even going so far as to putting our house on the market and packing 220 boxes in the basement of our home. Although our house seemed perfect for us, we had started to wonder why we were staying in Ottawa. Palo Alto and Mountain View, California were attractive options to live as my husband is an entrepreneur in high-tech, and has numerous contacts in the area. On our trip we saw beautiful terrains, beaches, deserts, monuments and scenery. Every day of our trip was memorable. Our kids took surfing lessons, and enjoyed Mt. Rushmore, which our youngest child calls “Happy Face Mountain”. Our visit to the Grand Canyon was quick, but about as long as anyone would bring four fearless and determined young children. In late August, two days before school was set to start again, we returned to our five bedroom, six bathroom house. It is a decadent house with skylights, hot tub and gym equipment. But, it is a lot of space to clean and manage. We missed the sense of adventure and freedom that life on the road had offered us. And, we realized that we could live very happily without a lot of our belongings. We began to rethink our priorities. 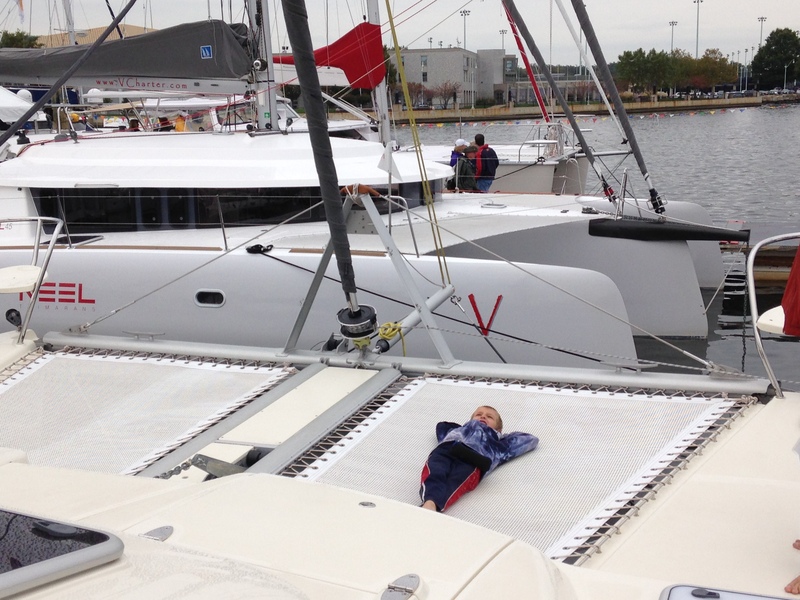 In October 2014, our family attended the US Sail boat show in Annapolis, MD. We stood aboard single hulls and multi-hulls. And, the passion amongst some of the sailors was contagious. I met a woman who was quietly working at a booth who had circumnavigated with her children, and heard others speaking of the same. I don’t yet understand sailing culture or the language. But, I do understand that a cruising lifestyle will provide our children with memories to cherish, healthy sea air, and a unique environment to stimulate their fertile minds. I want to them to become adults who are passionate about what they do, dream big, and look at obstacles as opportunities for change.